Wanda Sa: One Of The Last Links To Bossa Nova There's very little nostalgia in the Brazilian singer's work. She's just a flat-out amazing performer who's been amazing for a long, long time, whether people were paying attention or not. 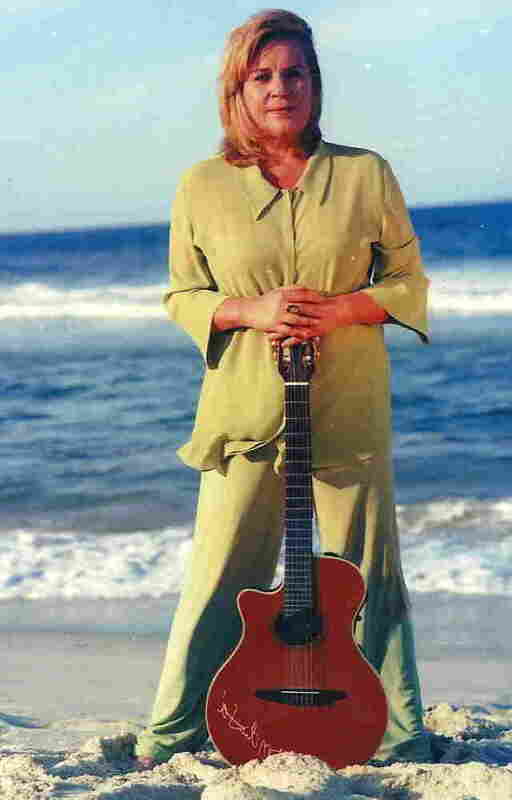 This week, the Brazilian singer and guitarist Wanda Sa has returned to the U.S. for the first time since 1999. For five nights that began on Tuesday, she's performing at the legendary New York jazz club Birdland with veteran singer and songwriter Marcos Valle. These dates offer a chance to encounter a woman who, for decades, has been one of Brazil's best-kept musical secrets. If somebody asked me to pick one living singer who deserves much wider recognition, without hesitation I would say Wanda Sa. She recorded her debut album, Vagamente, in 1964, when she was 19. It was the year saxophonist Stan Getz did his version of "The Girl From Ipanema," helping to make bossa nova an international sensation. In Brazil, this triggered sudden demand for new talent. Sa had this distinctively breathy, easygoing style and a knack for picking great songs. Plus, she came up among a group of young songwriters and musicians who were frequent guests at the home of the form's compositional genius, Antonio Carlos Jobim. On Vagamente, she introduced one of his most admired ballads, "Inutil Paisagem" ("If You Never Come to Me"). Somehow, with all the attention surrounding bossa nova, that first Sa record — with its photo of the artist lazily toting her guitar along the beach — got overlooked. It's become one of those lost classics, known mostly to DJs and connoisseurs. The singer and guitarist didn't exactly help her cause: After making a few more records in Brazil and the U.S., she dropped out of sight. In 1969, Sa married the gifted songwriter Edu Lobo and devoted herself to her family. She says now that she wasn't prepared for the demands of the music business and was perfectly happy to walk away. Crucially, though, she didn't stop singing. In the 1990s, she made a slow, cautious return to performing, after reconnecting with the great songwriter Roberto Menescal, who had been her very first guitar teacher when she was 13. In a way, Sa reminds me of a Brazilian Bettye LaVette — a singer who, despite working in relative obscurity, somehow kept alive the basic underpinnings of an important genre. Hearing her later work, it's clear that Sa has continued to develop as both a singer and a musician. On "Chega de saudade," a Jobim classic from Eu e a Musica, she's all business on acoustic guitar, snapping out an exacting rhythm that serves as the tune's foundation. Then, on top, Sa sings like she's floating. She stretches phrases out. She's utterly free as she toys with the tricky intervals of the melody. Her singing describes an ease of movement, and a sense of flow, that's downright rare these days. There's something else, too. In bossa nova, very few of the top female singers had long careers. Elis Regina died young. Astrud Gilberto stopped performing. At 66, Sa deserves notice as one of the last links to an amazing era. But listen to the spirit behind the notes, that dazzling poise. There's very little nostalgia happening here. Just a flat-out amazing singer who has been amazing for a long, long time — whether people were paying attention or not.